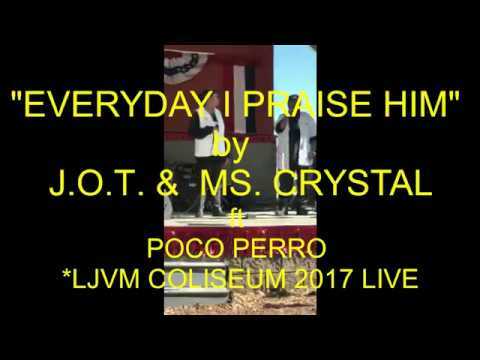 "EVERYDAY I PRASE HIM" LIVE 2017 LJVM COLISEUM PERFORMANCE by J.O.T. & MS CRYSTAL for SOUL-FULL PRODUCTIONS!!!! RAPPING FOR CHRIST(CRISTO) AT THE DIXIE CLASSIC FAIR FOR THE TENTH YEAR IN A ROW..GOD IS GOOD!!! !